In its fourth year, the war in the eastern Ukrainian region of Donbas continues to blight the light of ordinary Ukrainians. “The conflict deprives the most vulnerable of basic necessity, and most importantly their safety and protection,” – UN monitoring mission reports. 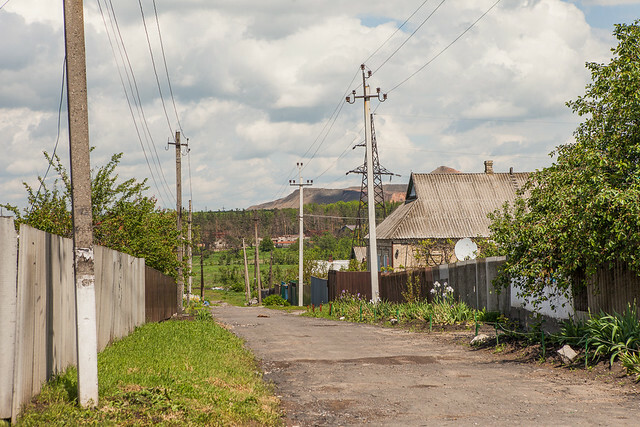 A residential neighbourhood in the village of Zaitzseve, Donetsk oblast’ Ukraine. The buildings in this photograph were hit by the large-calibre machine guns one week previously. Various aid organizations and volunteers help the population affected by the protracted conflict. Food, medicine, clothes are often collected and delivered here by Ukrainians from every corner of the country. There are still inaccessible areas. In the cold winter months the need for aid only increases. 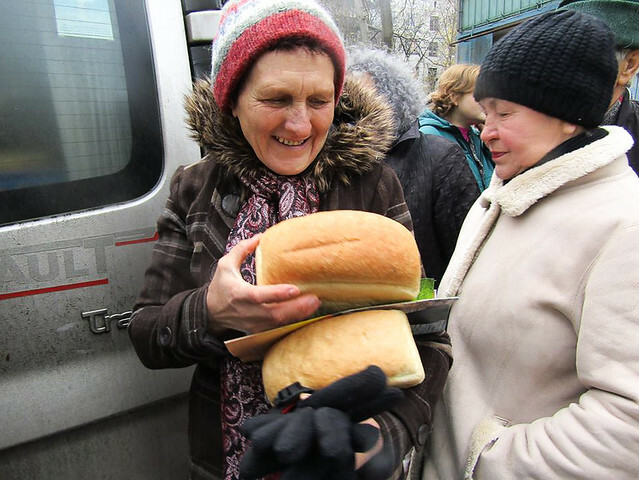 A Christian mission from Dnipropetrovs’k oblast’ brings bread and spiritual literature to Krasnogorovka, located around 1 km from the frontline. Aid is aimed at the most vulnerable sections of the population. Euronews previously reported the example of a social bakery project, based in Marinka, where the situation remains tense. Locals are regularly subjected to the sound of explosions and gunfire and forced to hide in underground cellars for safety. Marina, a resident of the village of Kamyanka, in the Volnovakha district in Donetsk oblast’, said she was afraid to return home the day she spoke to Euronews as she could hear heavy explosions in the fields nearby. Earlier, when her village was shelled, she had lost her hearing, only partially recovering since. 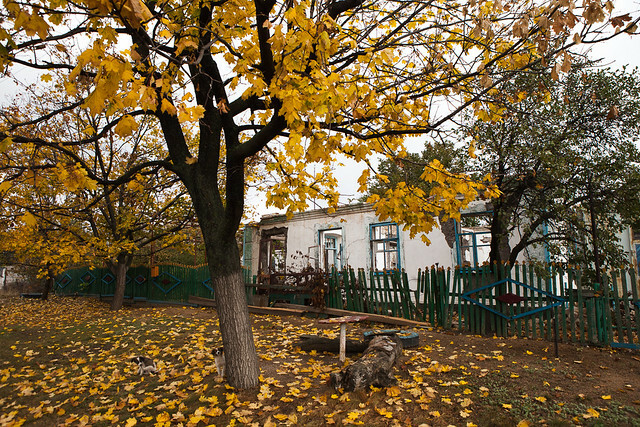 A house in neighbouring Hranitne was damaged at the end of September. Freedom of movement in the region continues to be restricted. The waiting time at roadblocks installed by the Ukrainian army and the separatists stretches to many hours, causing enormous human suffering as the roadblocks lack even basic facilities. Searches, interrogations, long lists of banned products provoke frustration and anger among the local population. With the winter season approaching, the roadblocks’ working hours have been shortened by both sides furthermore. 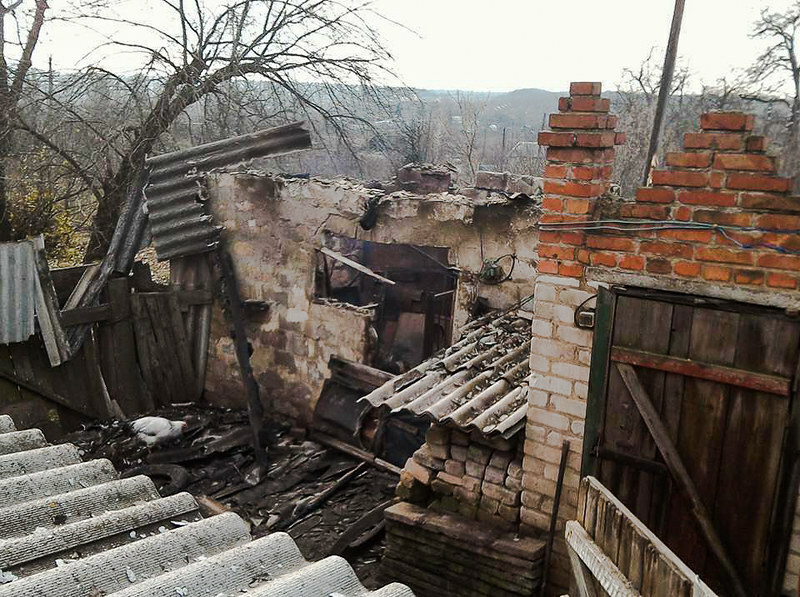 “Thousands of people are without electricity, gas and water, as the ongoing conflict continues to take a heavy toll on critical civilian infrastructure crisscrossing the contact line”, says Ertugrul Apakan, the Chief Monitor from OSCE, whose Special Monitoring Mission has worked in Ukraine since 2014. This mission has recorded the deterioration of the security situation this autumn. During the last week of October, it recorded more than 5,000 ceasefire violations, most of them in the areas of Avdiivka, Yasynuvata, Donetsk airport and Svitlodarsk-Debaltseve. 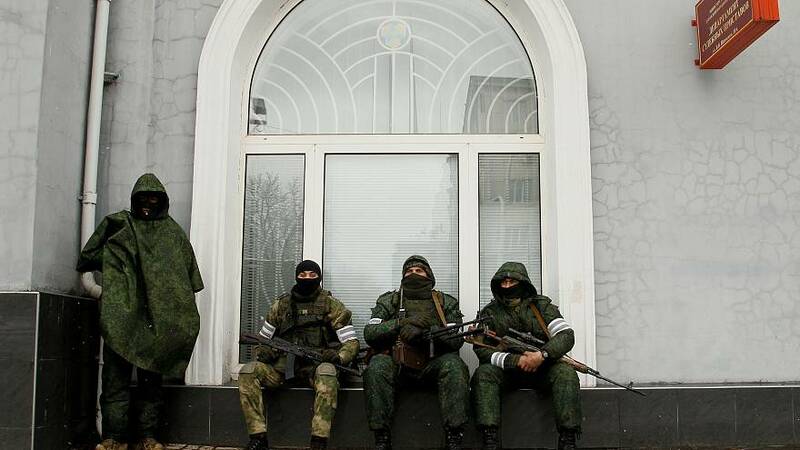 At the same time, the incidents seem to be on a smaller scale, involving less instances of heavy weaponry banned under the Minsk II agreement. The document that failed to establish sustainable peace but is considered to be the only solution by the Normandy contact group was reinstated by both sides in August. 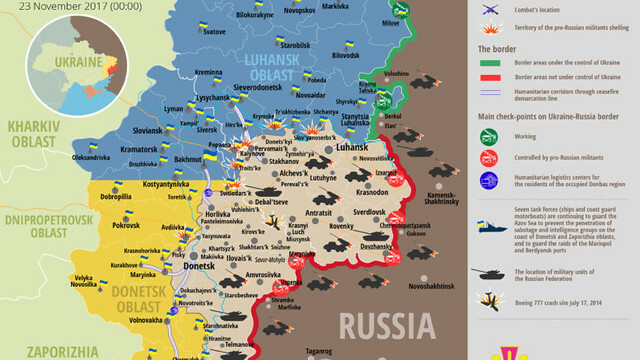 The Ukrainian army publishes map updates on the latest incidents. It is not only the population in the vicinity of the fighting who is at risk. The shelling of strategic facilities can impact a much wider area. The Donetsk filter station and Verkhnokalmiuska filter stations were repeatedly targeted recently. At stake is the water supply situation for at least 1.1 million people both in territories controlled by the Ukrainian government and those occupied by the separatists. The targeting of the Donbas water facilities poses a chemical contamination threat in the region because the water treatment installations contain dangerous substances, such as chlorine gas, according to UN experts. At least 10,000 people have been killed and more than 23,000 injured since the beginning of the conflict. More than 2.5 million became refugees or were internally displaced.